Relations among people are important for many intelligent systems. 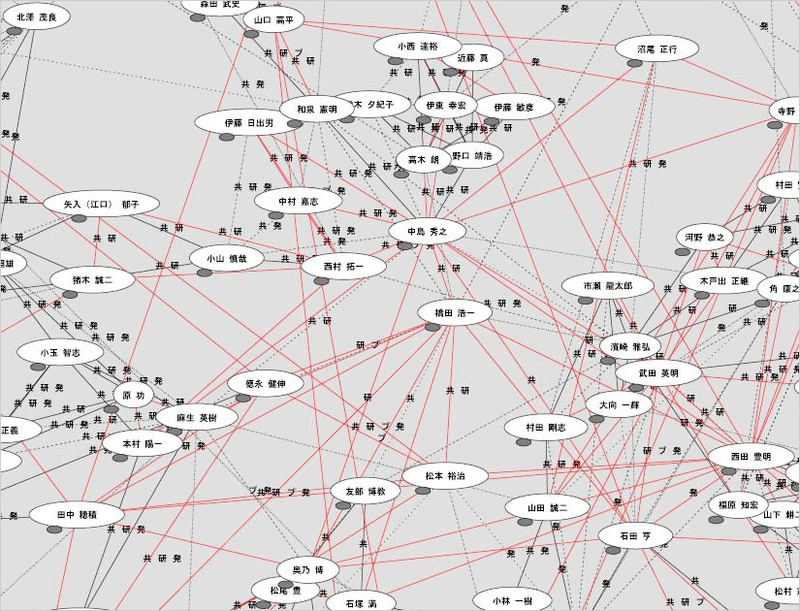 In my research, a social network, especially a collaboration network of researchers, is extracted automatically from the Web. The algorithm distinguishes the relations into co-authorship, co-participation to the same project, co-affiliation, and co-attendance to the same conferences. This project, funded by Ministry of Education, Culture, Sports, Science and Technology, begins from 2003 and published several papers in WWW, AAAI, and IJCAI conferences. POLYPHONET is a social network mining system that serves for promoting communication among researchers. It is operated in The Japanese Society for Artificial Intelligence (JSAI) annual conferences and a couple of international conferences. This research, funded by Ministry of Internal Affairs and Communications from 2003-2005, aims at developing advanced representation of places and user modeling based on location information. We are provided weblogs data, social networking services (SNSs) data, and other user-generated data from various Japanese corporations that operate online social services. Especially, the analysis of mixi, which is the largest SNS in Japan, reveals some interesting characteristics found in Japanese communities. By analysing social media, the prediction of stock market is possible. The innovative AI-based fund launched under the supervision of myself for technical aspects.